Bruce Hartman lives with his wife in Philadelphia. He has worked as a pianist, music teacher, bookseller and attorney and has been writing fiction for many years. His first novel, PERFECTLY HEALTHY MAN DROPS DEAD, won the Salvo Press Mystery Novel Award and was published by Salvo Press in 2008. His second book, THE RULES OF DREAMING, was published by Swallow Tail Press in May 2013. Kirkus Reviews, in awarding it the Kirkus Star for Books of Exceptional Merit, called it "a mind-bending marriage of ambitious literary theory and classic murder mystery." Kirkus selected the book as one of its "Top 100 Indie Books of 2013." Another mystery, THE MUSE OF VIOLENCE, was also published in 2013. THE PHILOSOPHICAL DETECTIVE was published in 2014, featuring the iconic Argentine writer Jorge Luis Borges wrestling with an extraordinary series of crimes and the equally baffling conundrums of literature and philosophy, including Zeno's paradoxes, the mind/body problem, and the mysteries of destiny, personal identity and artistic creation. Bruce Hartman's most recent book takes him outside the mystery genre. 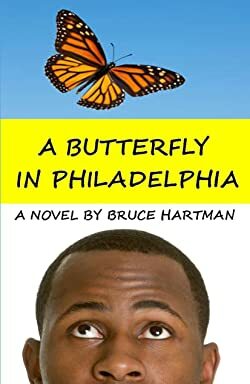 A BUTTERFLY IN PHILADELPHIA is a satirical comic novel and at the same time a coming of age story for the two young narrators (although this is not YA fiction). Jack Magnus of Readers Favorite Book Reviews called it "one of the strange, comic masterpieces that you're quite lucky to run across once in a very great while." Please enter your email address and click the Follow button to follow Bruce Hartman!